Last weekend was actually insane. 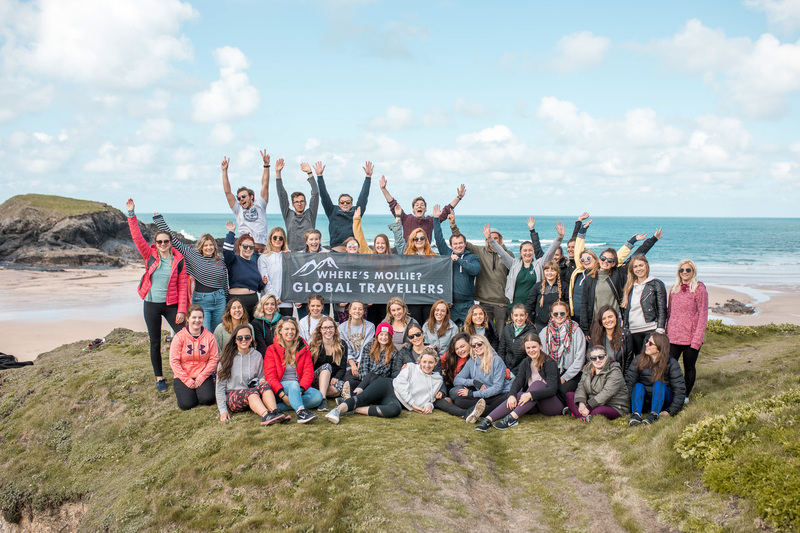 I’ve just got back from hosting Where’s Mollie Global Travellers Adventure #4 in Cornwall UK and I am still on the most incredible high from it. WMGT adventures are up there with my absolute favourites and WMGT Cornwall was no exception. If you’re sat wondering what on earth is Where’s Mollie Global Travellers? You can read more on my blog post here. Adventure #4 was added to the 2018 calendar to celebrate one whole year since I started the WMGT family on Facebook and once again the atmosphere, interaction and feedback from the weekend has blown me away. Oh the magic that happens when we come together and put our phones away for a while. For this adventure I had the pleasure of Robyn by my side for work experience (Instagram @itsthelifeofrobyn). Cornwall was set to be Robyn’s first WMGT experience so I thought it would be lovely to ask her to share with you guys how the weekend unraveled and what being part of WMGT Cornwall meant to her. Alongside that, we’ve also put together a travel guide for you based on the adventures we went on, each of which are worth noting alone. The credits for photography in this blog post go to Lydia Collins Photography. 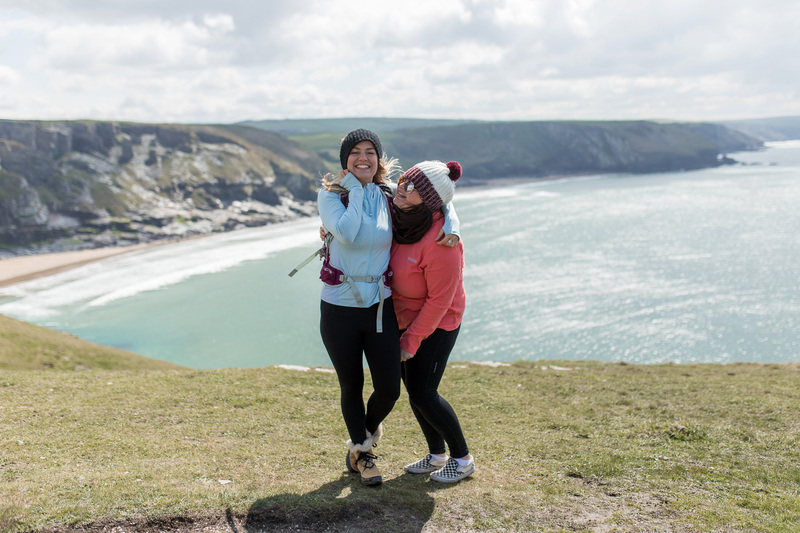 Campfires, sunsets, lighthouse hikes and did someone say coasteering? I knew this trip would be life-changing. After finishing four days of work experience with WMGT, my love for adventure and new things has been completely reignited. WMGT allowed me to let down boundaries and connect with people who have the same passion and interests as me. The itineraries, curated by Mollie, are designed to encourage you to to disconnect from social media, embrace the fresh air and spark new friendships. They gives you time to truly get to know the person to your left whether that be on a hike or cuddled up beside a bonfire. We laughed, we danced, we bonded. But mostly, we arrived as strangers and left as a family. So what exactly did we get up to? Firstly, where even is Cornwall? Located along the south western tip of Great Britain, Cornwall is encapsulated by beautiful beach’s and surrounded by the vast Atlantic ocean. 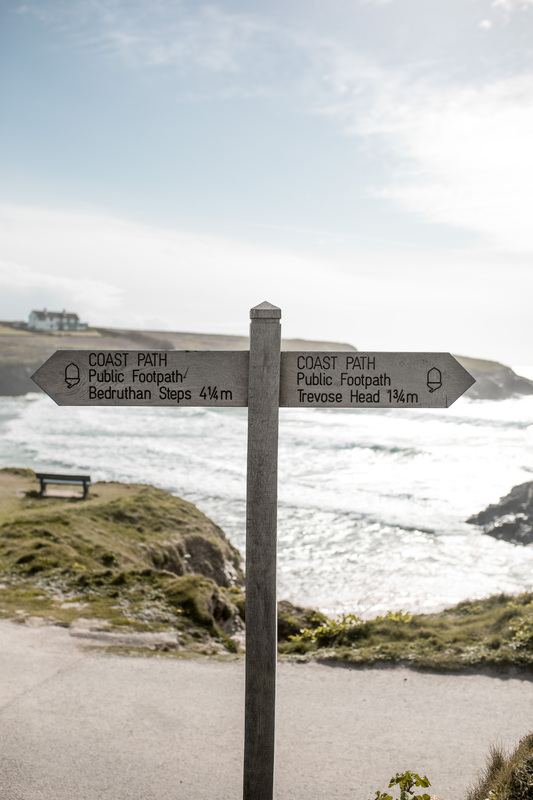 For nearly 300 miles the magnificent coastline wraps around the UK’s most westerly points. 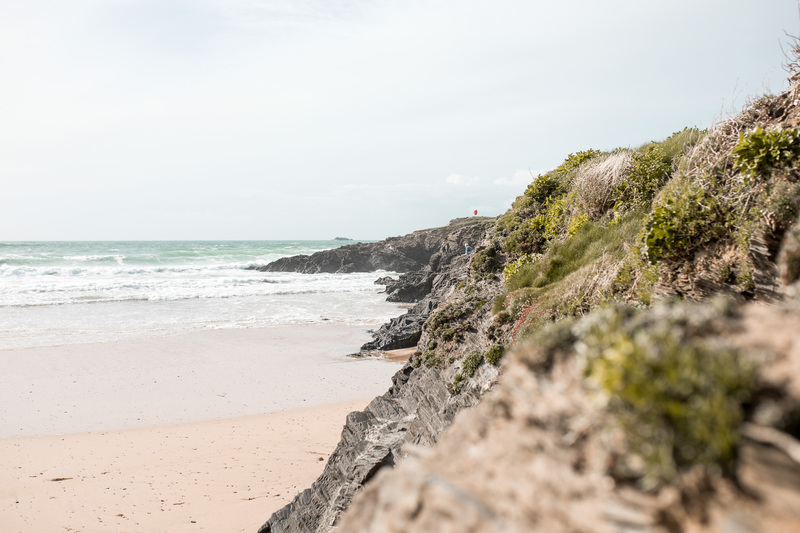 With its captivating fishing harbours, freshly baked Cornish pastries and dynamic surf spots, the plentiful opportunity that Cornwall offers up cannot go a miss! Cornwall was the perfect place for WMGT adventure #4 and was living proof that beauty really is right on our doorstep (when the suns out) ;-). From London: Drive along the M4 motorway from London and arrive in Cornwall in less than 5 hours. From Manchester: Drive along the M6 motorway and exit onto the M5 to Exeter were you can finish your journey to the heart of Cornwall in under 6 hours on either the A30 or A38. Train services run frequently from London Paddington station. Coach times from London or Birmingham to the city of truro takes 7-8 hours. You can also find direct trains that run daily from Bristol to Cornwall. Cornwall airport in Newquay have daily flights from around the UK, Ireland, Germany and Spain. With additional seasonal routes, you can even fly from Aberdeen, Belfast, Birmingham, Dublin and Alicante! There is honestly so much to do in Cornwall. It very quickly becomes overwhelming when you start researching your trip. 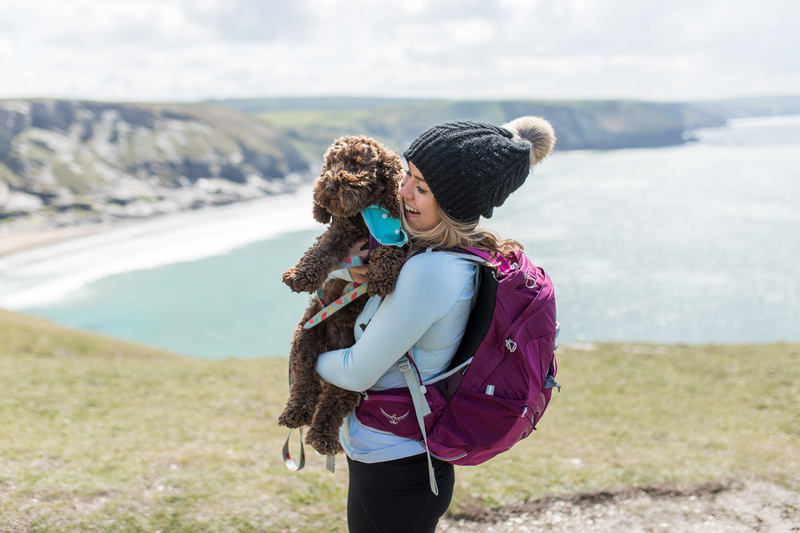 There are so many gorgeous coves, walks and activities to check out, so if you’re just heading down for a couple of days I would suggest not jam packing your itinerary with the whole of Cornwall. Perhaps stick to one area and leave room for the unexpected. 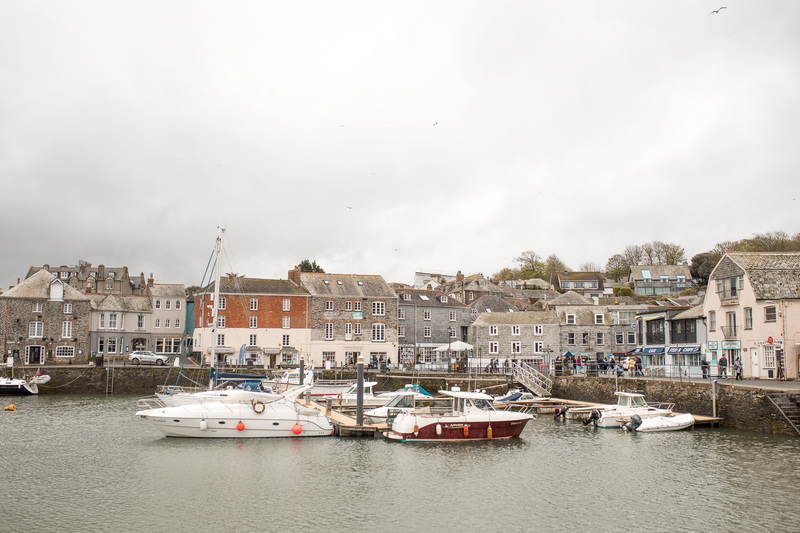 For WMGT adventure #4 we stayed around Padstow and Newquay but I know Mollie has done a 4 day roadtrip and a travel guide for the lower end of Cornwall (St.Ives and Truro end) took. You can see that blog post here. On day one of WMGT adventure #4, we arrived at YHA Treyarnon at 4pm after a 5 hour road trip from London. We parked up, emptied our backpacks and settled into our new home for the weekend. YHA Treyarnon Hostel is perched right on a cliff top overlooking the rugged coastline of Treyarnon bay. With outdoor picnic bench’s and coastal walks at the door step, you are completely spoilt for location here. This traditional hostel has over 68 beds including bunk beds and double beds, dining lounges and a self-catering kitchen. It also offers a camping site where you can rent bell tents and land pods. Even if you don’t choose to stay at the hostel, the beach front cafe and restaurant is worth a visit. They even have live music on fridays from local talent. By 5pm most of the Thursday arrivals had touched down and it was finally time to mingle. 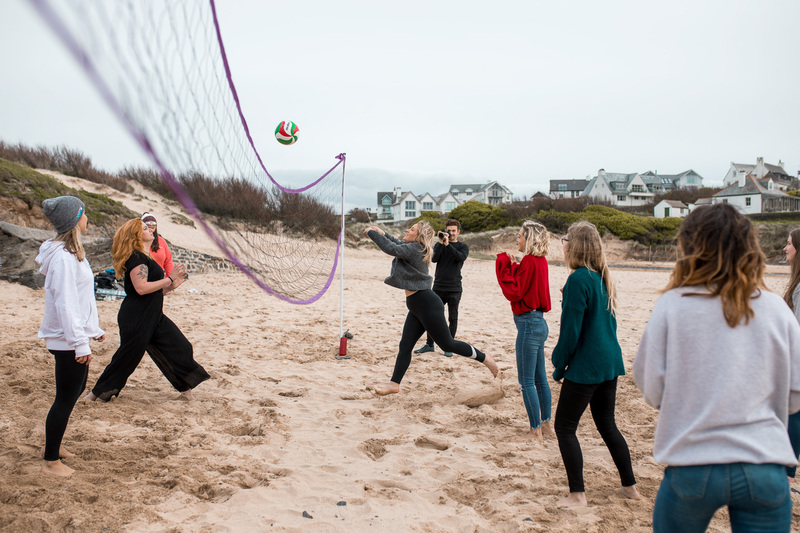 Mollie had bought a WMGT beach volleyball kit and so we set up an epic game of volleyball down on Treyarnon Bay. So easy and so much fun! At 7:30 it was time for a group dinner at the hostel were we got know everyone, relax and prepare for day 2’s adventures. Our first morning had us hike / meander along the coastal path from our hostel around to Trevose lighthouse via Constantine Bay and Booby’s Bay. We were out for around 2 hours in total and we were even lucky to spot some seals along the way near the lighthouse. Once we got to the lighthouse hot chocolate was poured and we watched the seals while fuelling up on some custard cream biscuits. Tip: Don’t forget a thermal flask and snacks for once you get to Trevose lighthouse. The view is epic and a hot chocolate will warm you right up! By afternoon we hopped in the car, took the scenic route and drove 20 minutes to explore the small little town of Padstow. 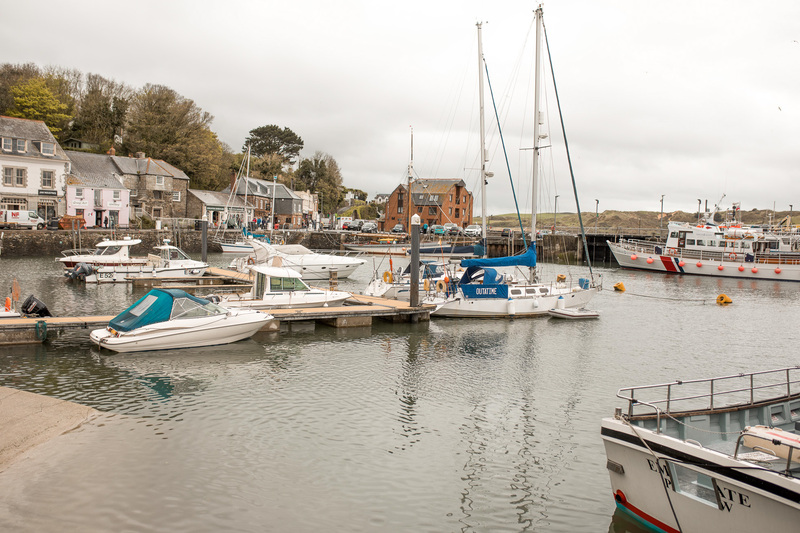 Padstow is a charming village known for its fishing ports and sandy beaches. 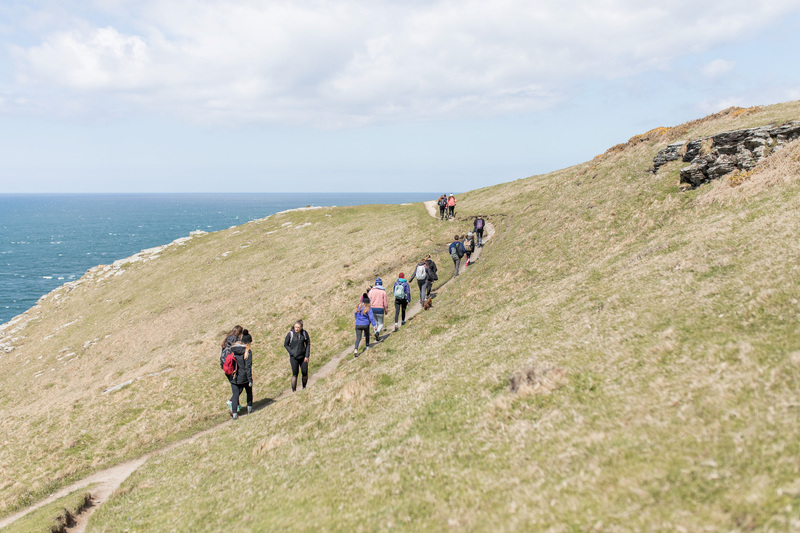 We jumped right in and experienced the true Cornish countryside by indulging in some epic Cornish pasties and home-made fudge. Top tip: The main carpark is pay and display so don’t forget some pocket change! Top tip: Grab lunch at one of Rick Steins world famous fish restaurants. Fish and chips followed by a Cornish ice cream and a Rattler (Cornish cider) = the Padstow dream! We arrived back to the hostel for around 3pm by which point it was finally time to meet the rest of the WMGT family who were joining on package two. After dinner at the hostel we headed down to the beach, built a bonfire and introduced ourselves. We tucked into some s’mores and listened to campfire stories. Tip: This is a great chance to get to know everyone so bring a pack of cards or have some ice-breaker games ready to go! Heads up is always a winner. Time to go coasteering! 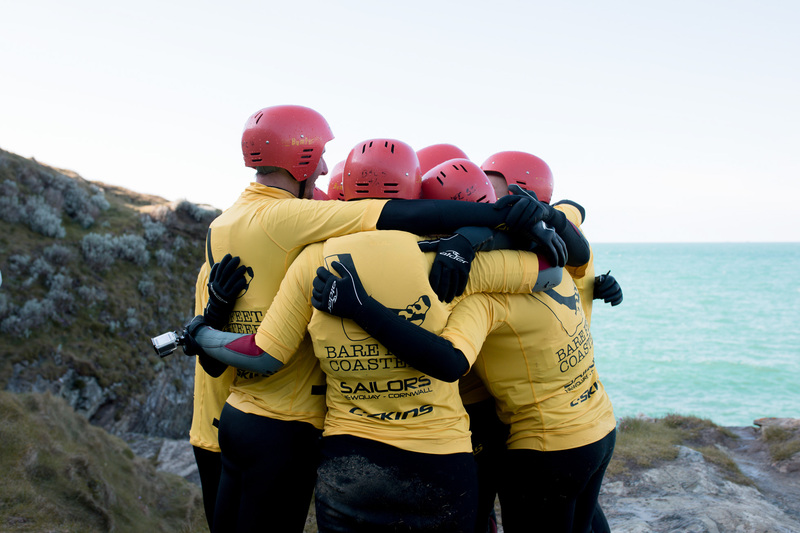 What’s coasteering I hear you ask? A unique and exciting adrenaline built experience which includes cliff jumping, coastal scaling and a little bit of swimming (floating). A pretty hands on activity and one that only one or two of the 50+ group has encountered prior to this weekend. 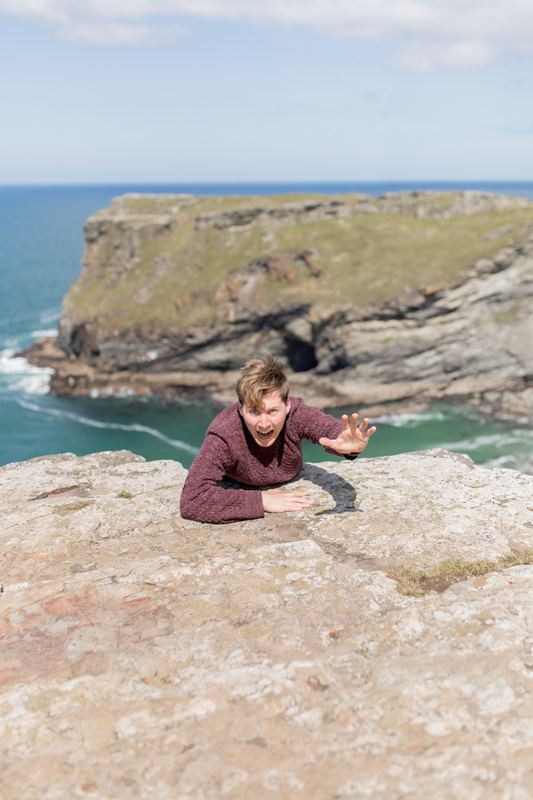 Located on Fistral beach, we met Nick and his fully trained team at Barefeet Coasteering who took us along one of the three optional routes. Just before jumping in, and after we had been kitted out with the appropriate wetsuits and safety gear, were taught all the skills and techniques you need to ensure a safe and memorable climb. Once the boring stuff was over, we explored our way along the coast, swimming through crystal blue water and climbing up coastal cliffs before leaping up to 30 feet into the sea. The sun was shining, the wetsuits were snug and the WMGT family vibes were in full swing. Tip: Don’t forget your swimsuit, a towel and old trainers. You can also rent wetsuit boots and gloves for £5. When you’re finished grab a token at beach rental and jump into a one of the beach showers! Be ready for a quick one though its only 3 minutes. Location for sat nav: 5 Headland Rd, Newquay TR7 1HW, UK. The best car park is opposite the Atlantic Hotel it 30 seconds walk away. After coasteering, we grabbed a pizza and beer at Fistral Beach Bar. If pizza isn’t your thing there is plenty of food options to suit everyone and if the sun is shining – you strike gold at this location. After an adventure packed day, we sat outside on the decking with our drinks and toasted to fears conquered, friendships made and beautiful english weather! After a busy morning we headed back to YHA Treyarnon and freshened up for dinner. Of course we couldn’t resist another bonfire. We were so lucky to experience one of the most beautiful sunsets on this evening. We cuddled around the fire, toasted marshmallows and danced the night away. It was a time were we truly got to embrace and soak up the new life-long friendships that had been made. Time for the WMGT travel quiz! We all grabbed a drink at the bar in the hostel, munched down on some yummy WMGT cupcakes and celebrated an amazing weekend. Waking up on the last morning felt so surreal. We repacked our bags and got ready to check out. We kicked off the day with a group breakfast and an optional volleyball session on the beach. Once packed and ready to go, we hit the road and travelled to another beautiful corner of Cornwall- Tintagel. Tintagel is located along the coastline between Padstow and Bude. Here there are plenty of breath taking hikes suitable for all ages. One of the main features in this gorgeous cornish town is Tintagel Castle (a national heritage site that costs £9.50 for adults, £8.60 concessions to enter). Top tip: If you take the coastal path south here you can view the castle from afar for free. Not sure how much hiking you can take? All along the SW coastal path there are benches where you can enjoy the views while snacking on a pre-packed lunch. We parked up in the main Tintagel car park and then walked for an hour before turning around again. All the views. Once we finished the Sunday hike (our final group adventure) we cosied up in The Wootons Inn where Mollie had pre-ordered some homemade cakes and had both those and hot drinks waiting for us. Ic can also highly recommend the tasty Sunday roast. It was the perfect final feast before the long drive home. Once we refuelled on the Sunday lunch menu it was time for our final “see you later”. I refuse to call it a “goodbye” because in reality I plan on meeting these people again. We even surprised Mollie with a special thank you card for all the hard work and effort that was put into making the weekend nothing short of amazing!! If WMGT is something you’re interested in or considering taking part in then I recommend that you absolutely do it. As a solo traveller coming from Ireland I was nervous, but once you arrive you are completely welcomed into the family with open arms. You connect without needing WIFI, infact you completely forget about it. That is what WMGT is all about, rolling through conversations while connecting with people that have same passion as you. You experience so many meaningful conversations and WMGT puts emphasis on embracing the little moments. This won’t be my last adventure, I can guarantee that. I hope to see you all at adventure #5! Would you been keen to join the next WMGT adventure?